Regional actors are all main stakeholders operating at regional level in a specific thematic field independently from their legal status, thus comprising the public as well as the private sector. These sectors include different types of entities such as public administrations, infrastructure providers and operators, interest groups, NGOs, research centres, education facilities, enterprises including SMEs etc. the United States Department of Agriculture (USDA) and US AID which conducted fire management training courses (inter-project). In 1995 a “National Coordination Team on Forest and Land and Fire Management“ (c/o Environmental Impact Management Agency BAPEDAL) was established at national level. During and after the 1997-98 fire episode the importance of the pilot functions of these projects have been recognized. Besides strengthening of the already ongoing projects several new initiatives were started. This section provides (historical) background information on national, regional and internationally supported projects in forest fire management. The reports are taken from International Forest Fire News No.18 (January 1998) and 19 (August 1998) and from individual reports submitted to the GFMC and other sources; while these reports are outdated, the information presented is often still relevant. The BMKG (Badan Meteorologi, Klimatologi, dan Geofisika) homepage provides detailed meteorological information for Indonesia including haze and smoke data and a map of the current wind trajectories in Indonesia. BRG (Peatland Restoration Agency) provides information map peat burning good or not burning on the previous years will the recovery and retrieval of hydrological functions of peat with doing a restoration. The Global Change Impacts Centre for Southeast Asia (IC-SEA) is the first regional center in the developing regions established to assess the impacts of global change, and their implications for the sustainable management of terrestrial ecosystems. IC-SEA’s mission is to develop the capacity of the Southeast Asian region for sustainable development under global change. The website serves as the most comprehensive information pool on global change and its implications in South East Asia. It includes a searchable database on global change impacts literature as well as on upcoming events. Extensive information is given on the activities and the partners of IC-SEA. Altogether a very valuable website for South East Asia. The Indonesian version of the Ministry of Forestry website has a section on forest fires of 1997. A general statement about the fires in Kalimantan and Sumatra could be found. Satellite imagery was provided by the JICA Fire Project in DG PHPA, using NOAA and HIMAWARI imagery, the site was updated in February 1998. Indonesia is the largest country of South-East Asia and comprises an enormous wealth of natural ecosystems. Considerable parts of its natural resources are protected and maintained by the Directorate General of Forest Protection and Nature Conservation of the Indonesian Ministry of Forestry. This website is dedicated to all protected areas of Indonesia. It not only describes the various National Parks (Taman Nasional), but also the many Nature Reserves (Cagar Alam), Game or Wildlife Reserves (Suaka Margasatwa) and several of the many Recreation Parks (Taman Wisata) in Indonesia. 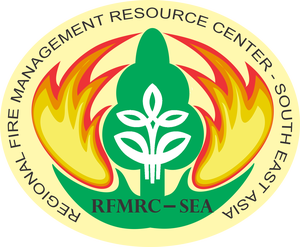 The East Kalimantan Fire Management Agency was established as an outcome of the Integrated Forest Fire Management (IFFM) project which was a 10-years bilateral development project in the province of East Kalimantan, Indonesia, sponsored by Germany and backstopped by the GFMC between 1994 and 2004. The project developed a valuable on-site source for forest fires in Indonesia, including NOAA AVHRR derived maps displaying active wildfires and land-use fires burning in East Kalimantan. In addition, fire-danger rating for the project area was published on a regular basis and provided accurate and precise information for East Kalimantan and adjoining Indonesian provinces on Borneo island. The Meteorological Service of Singapore provides a comprehensive web page on weather, haze and forest fires. Satellite imagery as well as the latest Pollutant Standards Index (PSI) readings are published on a day-to-day basis.